Today on Instagram this lovely lady from Australia made this for me and linked me into it. 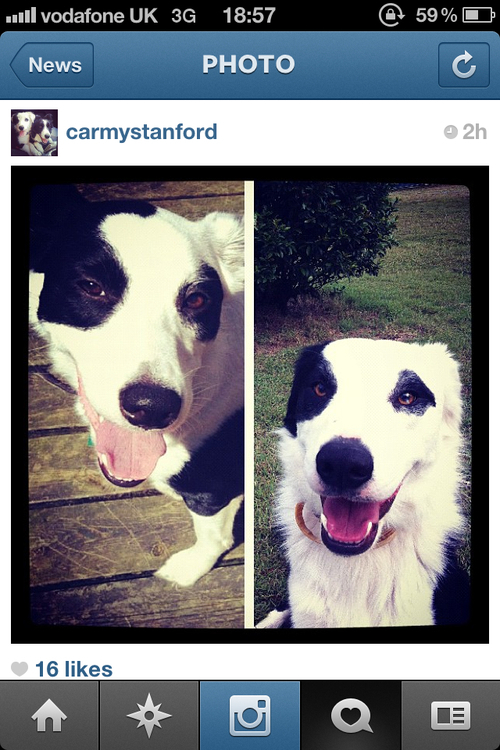 it literally made my day that these to beautiful collies look so alike. brother from another mother or what!! adore this and am so grateful for it as made me smile. as most likely already know I adore border collies and love everything to do with them. So cute dog *__* I love your blog! I checked it trough!